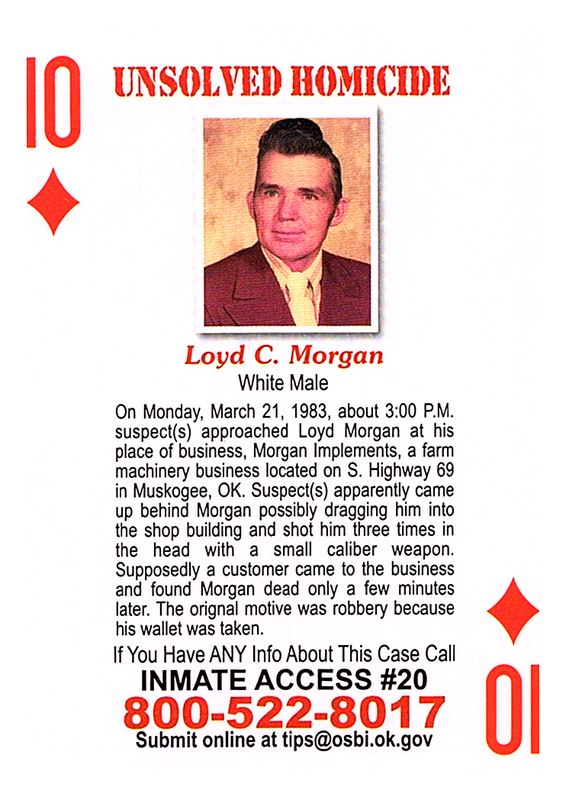 On Monday, March 21, 1983, about 3:00 P.M. suspect(s) approached Loyd Morgan at his place of business, Morgan Implements, a farm machinery business located on S. Highway 69 in Muskogee, OK. Suspect(s) apparently came up behind Morgan possibly dragging him into the shop building and shot him three times in the head with a small caliber weapon. Supposedly a customer came to the business and found Morgan dead only a few minutes later. The original motive was robbery because his wallet was taken.